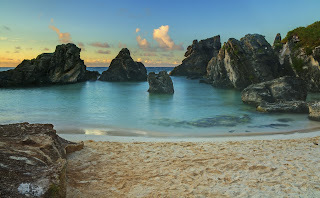 Bermuda is one of the most picturesque islands I’ve ever been to! Beautiful blue ocean with foamy white capped waves, open stretches of pink sandy seashore, and pretty, pastel cottages painted butter, honeydew and mint! But to see the most breathtaking views on the island, you must go underground, and discover the astonishing wonders of the Crystal and Fantasy Caves of Bermuda! The caves were discovered in 1907 when two young boys were playing cricket and one hit the ball into a hole. As the boys went looking for it, it soon became apparent that this was not your ordinary hole. What the boys had discovered was, in fact, the entrance to this spectacular natural wonder. About 120 feet below the ground, the caves are like visiting a wonderland. 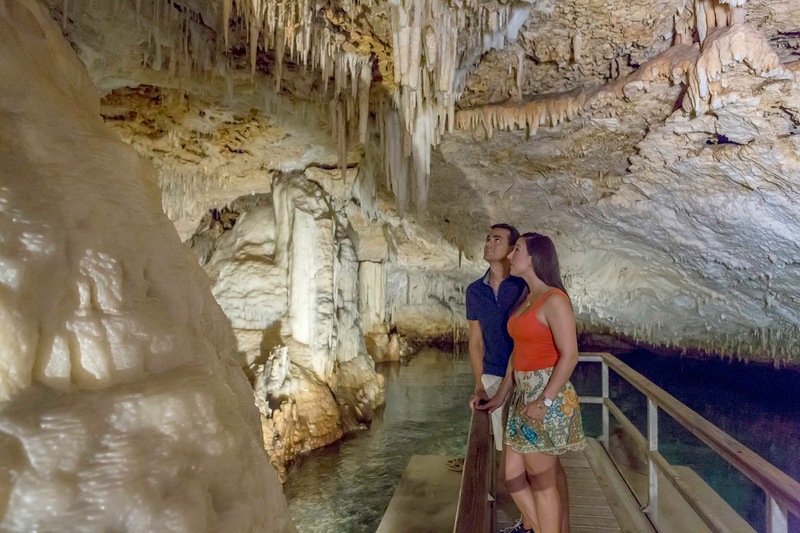 They’re filled with naturally formed, glimmering, jewel-like stalactites that hang down from the ceiling of the cave and stalagmites that jut up from the floor of the cave. As its name suggests, it has deep crystal-clear pools of sapphire blue water and although it is up to 65 ft. deep, it looks like it is just knee deep. Each cave is uniquely beautiful and is a new adventure to discover. 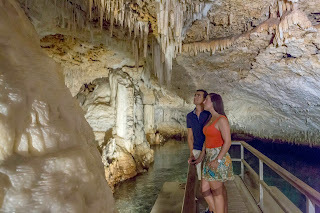 I would recommend everyone visit the caves on their cruise to Bermuda. They are located on Crystal Caves Road, off Wilkinson Avenue, Bailey's Bay, Hamilton Parish, and can be reached by taxi or public bus. They are open daily 9am – 5pm with guided tours leaving every 20 minutes.